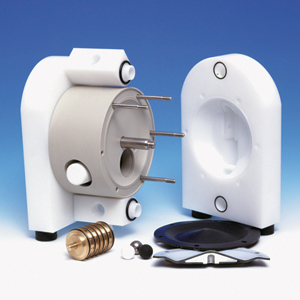 Compact and robust design from machined PE or PTFE. The PE has a wear resistance 6-7 time higher than PP and 1.5 times higher than steel, which makes the PE pump ideal for abrasive slurries. 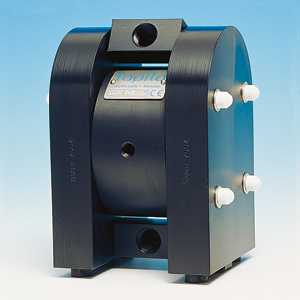 The PTFE pump even resists the most aggressive liquids such as concentrated Nitric Acid. Connection: ¼", &frac38;", ½", 1", 1½", 2", 3"
Maximum liquid temperature is 70°C. 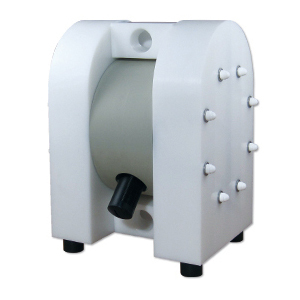 Tapflo PE pump made from polyethylene (HDPE) which excellent impact resistance. PE is a superior abrasive resistance 6 – 7 times better than polypropylene (PP). 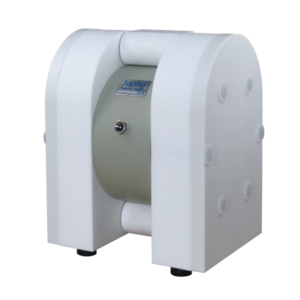 Maximum liquid temperature is up to 100°C Tapflo PTFE pump made from virgin polytetrafluorethylene (PTFE) is a thermoplastic polymer with superior chemical resistance. 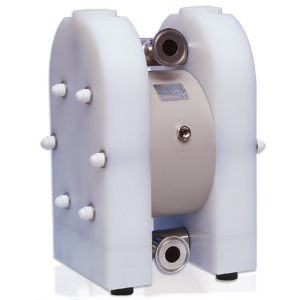 The Hygienic PE pump is developed to serve the biotech- and pharmaceutical industries in numerous applications. USP (United States Pharmacopoeia) approved. The ATEX directive 94/9/EC is applicable on products used in explosion hazardous zones (Ex-zone 1). The pumps made from conductive (Carbon filled) plastics PE or PTFE. 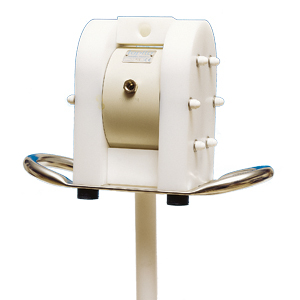 The Tapflo drum pump is ideal for mobile use. It is fitted with a drum tube in PE or PTFE and a handle in stainless steel AISI 316L. 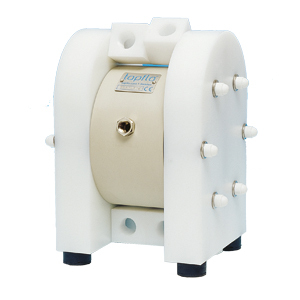 Tapflo PE & PTFE series pumps may be fitted with double in/outlet to achieve "two pumps in one" for blending, mixing or circulation of liquids. The liquid in one pump chamber is seperated from the other one. 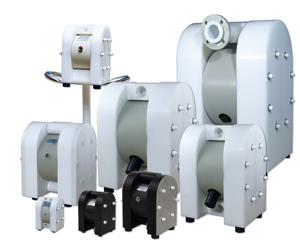 The Tapflo pump station for filterpress feeding is a very compact unit that can be mounted directly to the filterpress. 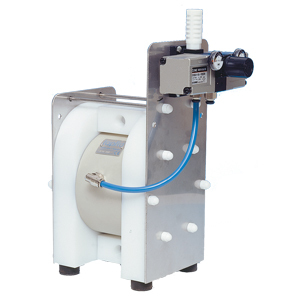 The design and function allows the user a straightforward pressing of slurries. Pressure regulator is already mounted to the unit.